The time is ripe for FIFA to reform and rid itself of its corrupt image, but experts are split over how to do that. Talk of reviving the organization's brand began immediately after long-time FIFA president Sepp Blatter announced plans to resign on Tuesday. 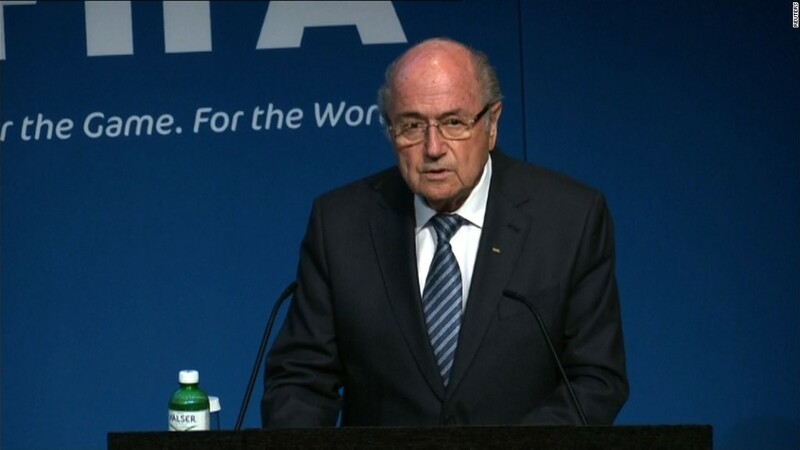 Blatter was re-elected to his post last week, just days after other top FIFA officials were arrested in Switzerland on bribery and corruption charges. Commentators agree that FIFA -- which runs the famed soccer World Cup -- must completely reform its management and bring in fresh blood to end its association with corruption. "For FIFA to survive ... it's got to become transparent, it's got to open it's books and show what's going on," said David Haigh, founder and CEO of London-based Brand Finance. Haigh recommends the organization bring in an auditor like PwC to review its books, and bring in a new president with a strong, trustworthy reputation. However, he said a complete rebranding is not necessary. "In my view, FIFA does not need to rebrand now because it's 110 years old and it's a very revered organization ... With [Blatter's] departure I think it is possible to recover," he said. Haigh calculates FIFA's total business is worth $12.6 billion, and it's brand is worth roughly $2.8 billion. But that's down about $400 million over the last few days as the result of the arrests. Sports sponsorship expert Robert Tuchman said if FIFA cleans up its management, it could then work with sponsors to relaunch a refreshed brand. However, he said a name change isn't necessary. "They have an opportunity to come out and make a change for the whole organization and whole sport," he said. But others think FIFA must go a step further. "It's time for a complete change, and I would include a change of name in that," said Nigel Currie, a sponsorship consultant and sports marketing expert in London. "Legally, there will be complications with that, but nothing is impossible," he said. However, corporate reorganization and renewal is never an easy thing. Any number of things could go wrong, especially if FIFA is unable to overhaul its management team and convince the public it's cleaned up its act. Sentiment towards FIFA is "negative and it's going to be negative for a little while, but it depends on how they conduct themselves over the next few months," said Haigh.